LunulaLaser from Erchonia Corporation on Vimeo. Introducing the Erchonia LunulaLaser®, the revolutionary low-level laser therapy bringing new hope to people suffering from onychomycosis. 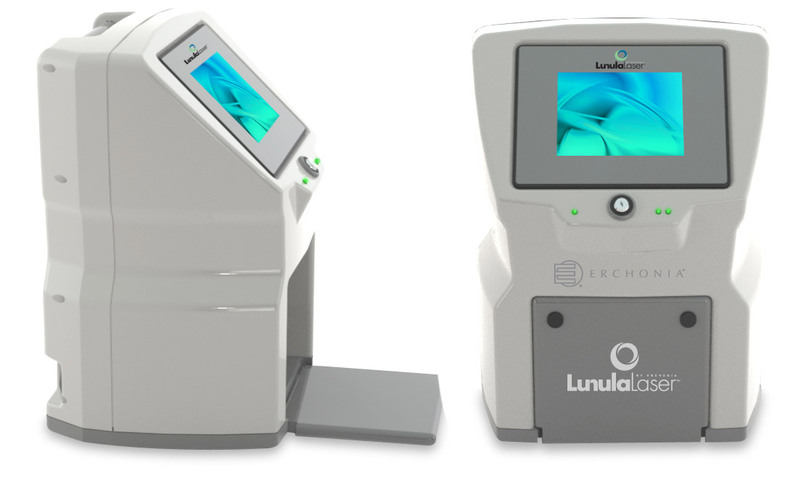 Safe and effective, Lunula Laser is the first and only non-thermal laser to receive FDA 510(k) Market Clearance for onychomycosis. Lunula poses none of the risks and harmful side effects of oral anti-fungal medications and is painless, unlike other laser therapies. Our treatment sessions last 12 minutes per foot. The treatment course is one treatment every week for 4 weeks and then a 5th treatment at 3 months. LunulaLaser® received FDA-clearance based on a double-blind, randomized, multi-site and placebo-controlled clinical trial. The trial proved 89% of patients respond to treatment.